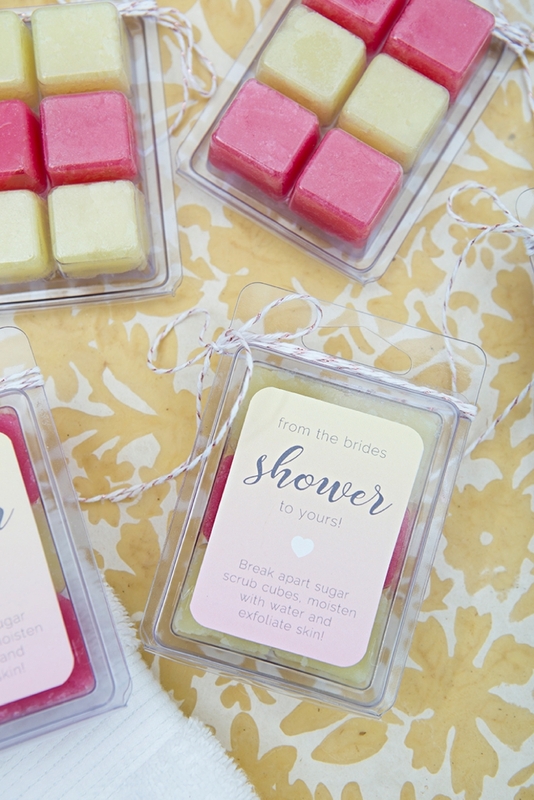 You HAVE To See These Darling Sugar Cube Scrub Favors! 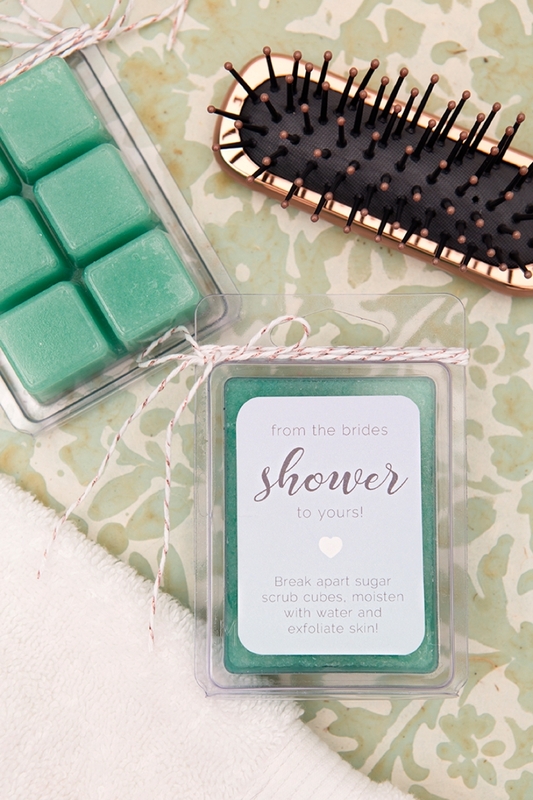 I love a fun and fresh beauty DIY project and when I saw this sugar scrub cube idea from Bramble Berry I fell head over heels. I use a facial and body scrub almost every day and so the solid, cube form of this project was super interesting to me. 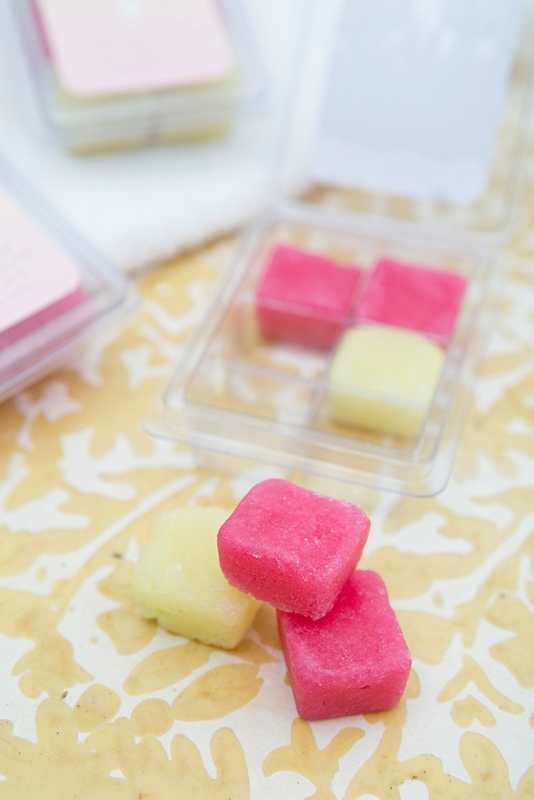 Instead of putting your hand in a big jar and scooping out some scrub, just grab a cube or two, it’s that simple! 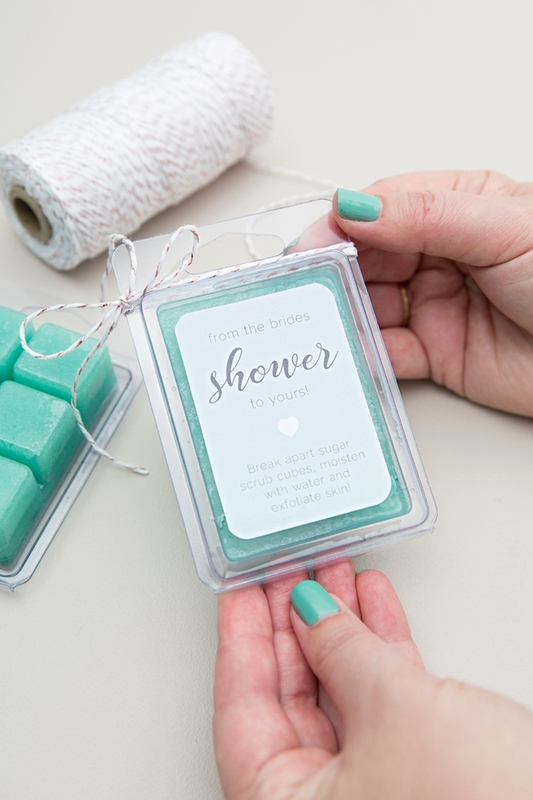 In the shower, you’ll moisten the cube and gently break it apart in your hand and then use it like a regular scrub. But wait there’s more, lol. This scrub has soap in it too, which makes it cleansing as well smoothing. 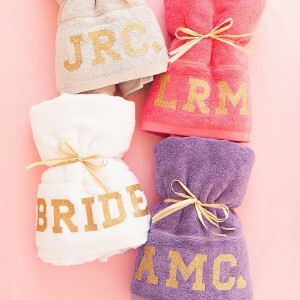 I think these cuties would make fabulous bridal shower favors, especially if your event is spa or beauty themed. 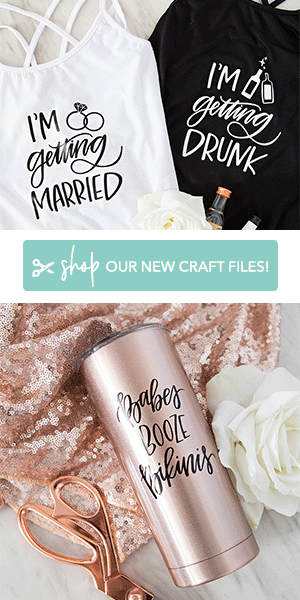 From the brides shower to yours! 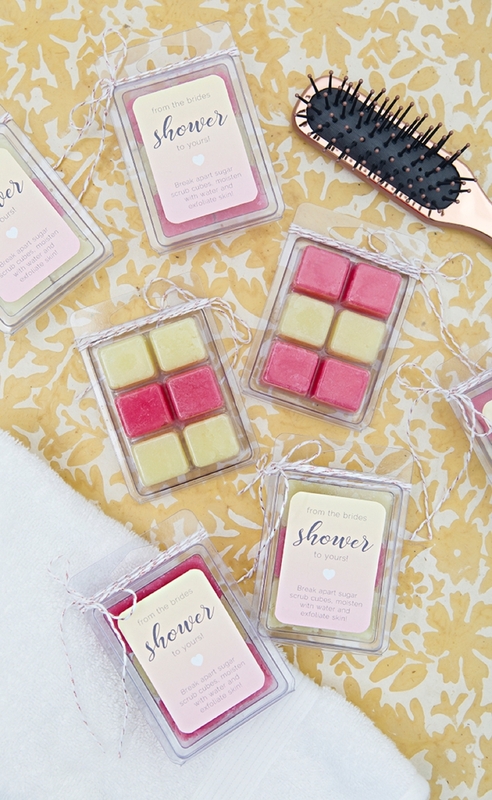 These small sugar cube scrubs are unique for many reasons. One: they are solid, where most scrubs are not. Two: they have soap in them, which makes them a wonderful cleanser too. Three: the sweet almond oil is nourishing to the skin. 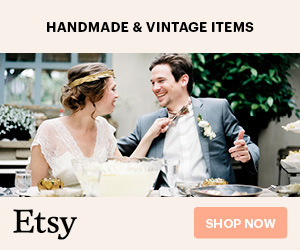 Four: they are handmade with LOVE. The best ingredient! 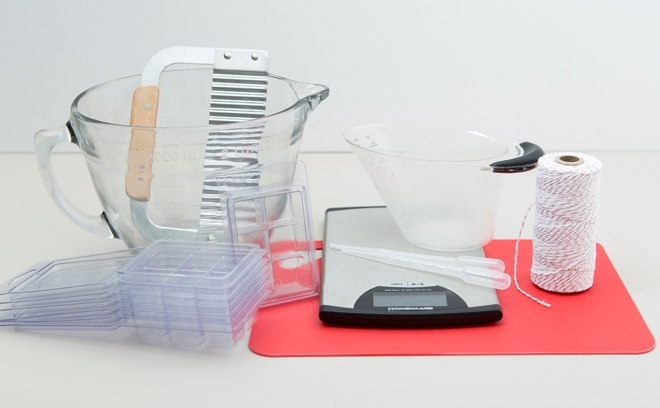 This recipe will fill up two of the mold packages. 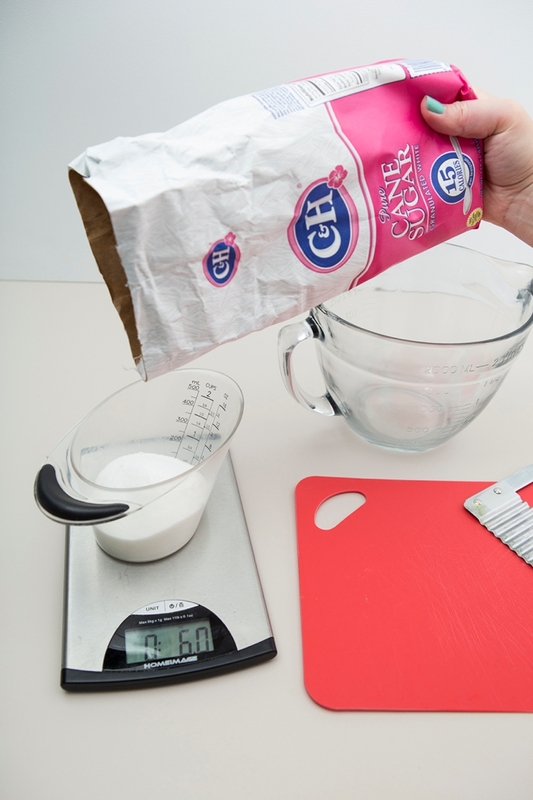 Measure 6 oz of white granulated sugar and pour it into your glass mixing bowl. 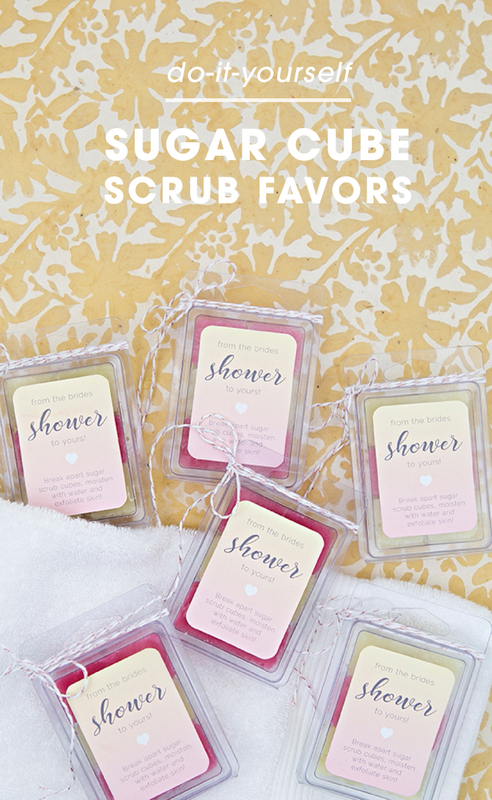 Sugar is a terrific scrub for your skin! Cut and measure out 2 oz. 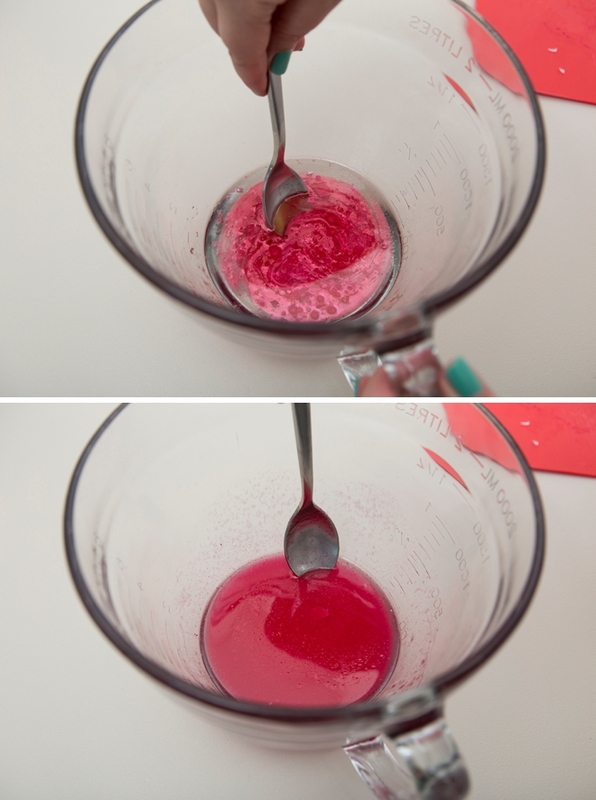 of clear melt and pour soap and add it to the mixing bowl. 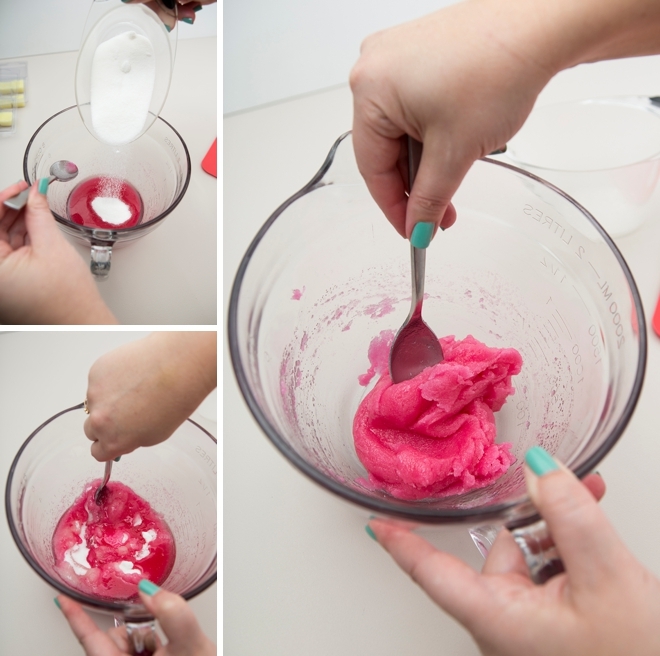 The addition of soap in this recipe makes this scrub fabulously bubbly and cleansing! 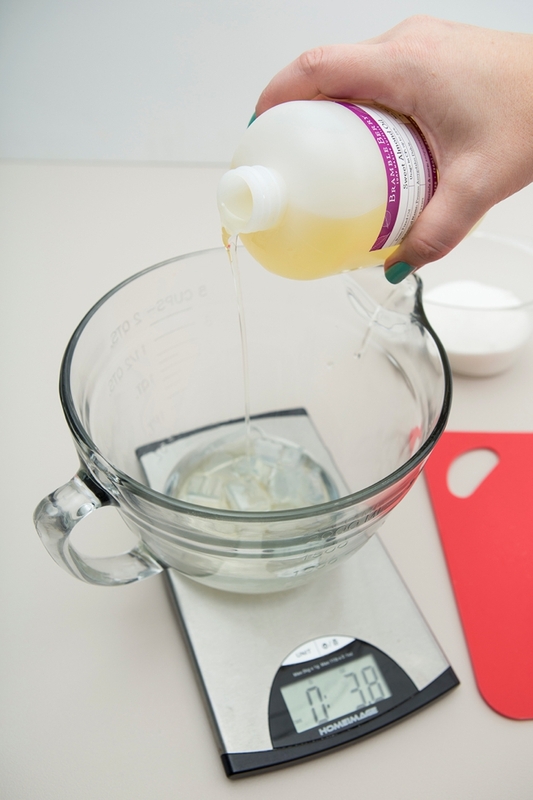 Measure and add 2 oz of Sweet Almond Oil (or any skin nourishing oil) to your mixing bowl. 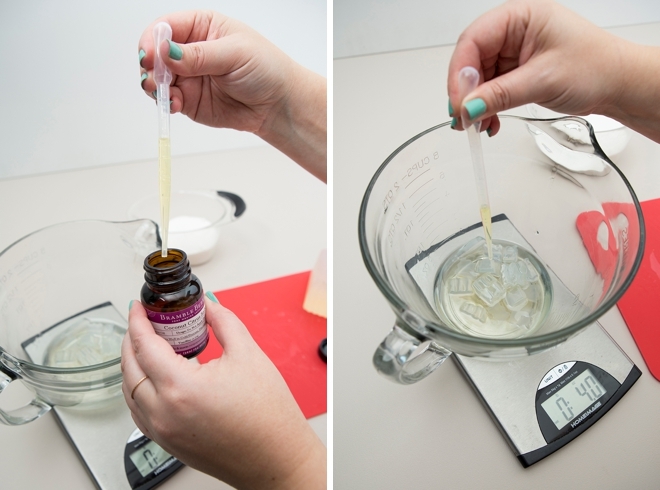 Use the fragrance oil of your choice! I used Electric Lemonade Cocktail and Coconut Citrus Sorbet from BrambleBerry.com. 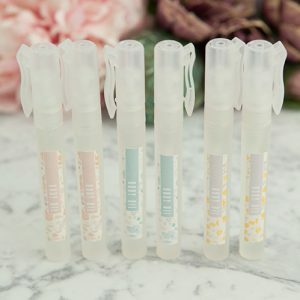 I’m obsessed with the Coconut Citrus, it’s going to be my new summer smell! 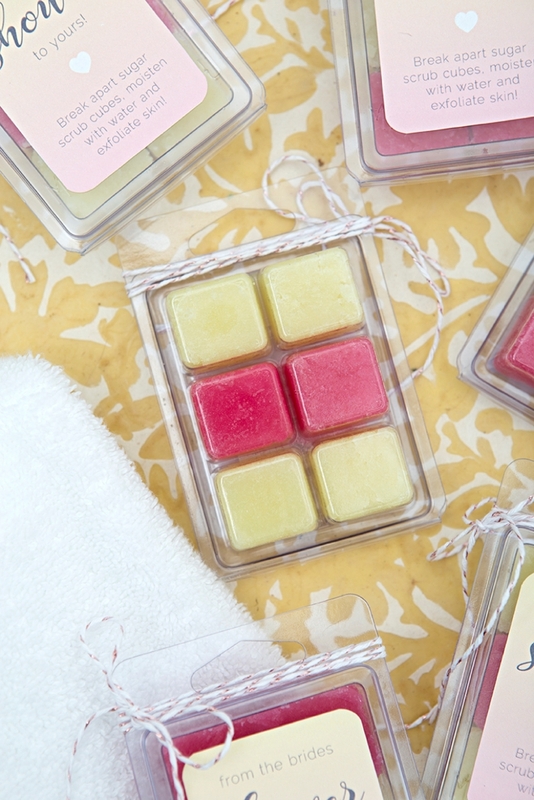 The color blocks from BrambleBerry.com are pre-mixed colors for melt and pour soap making. 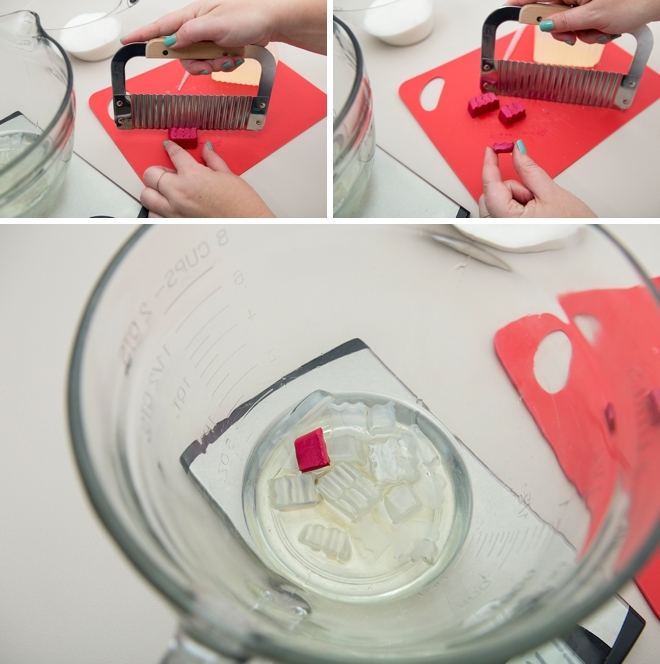 Pick your favorite color and cut and add only 1/8 of the entire block to your mixture. The more you add the darker the color and vice versa. 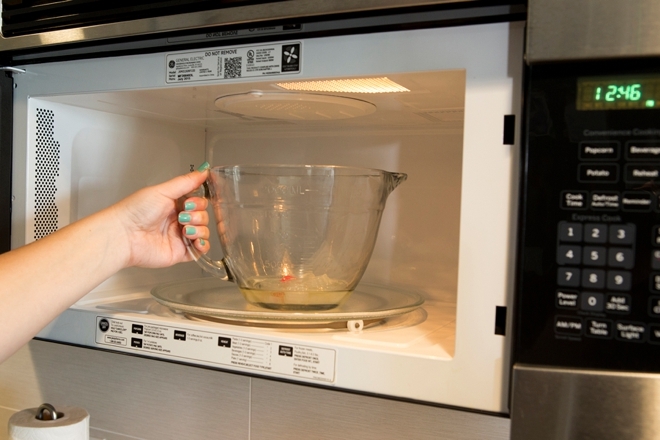 Everyones microwave will be different but 30 seconds should do the trick. 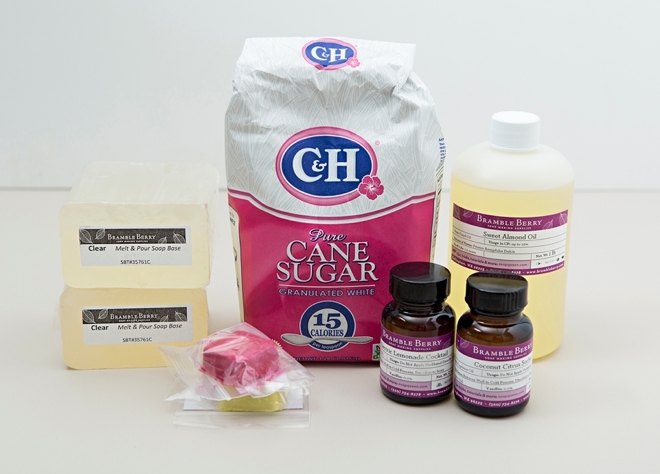 When you add the sugar, the soap sets quickly and will get stiff on you so work fast. 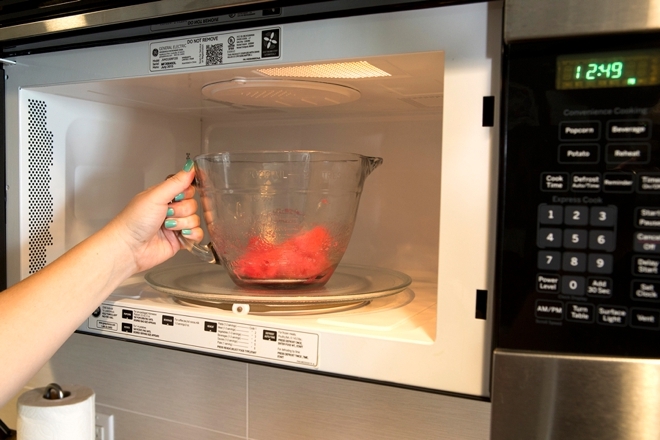 Pop the mixture back in the microwave for about 10 seconds to re-melt it to the point where it’s easy to pour into the molds. 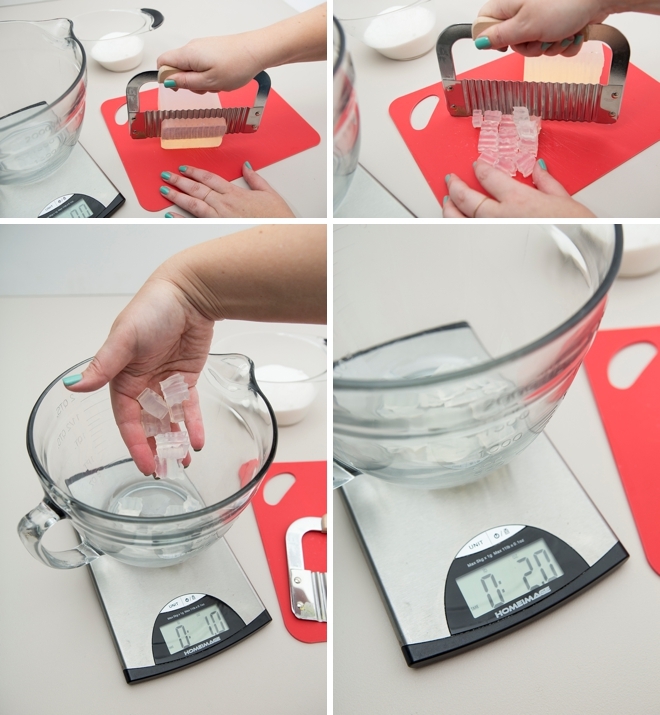 You can do this a few times if need be, just keep in mind that if you do it too much you could melt the sugar. 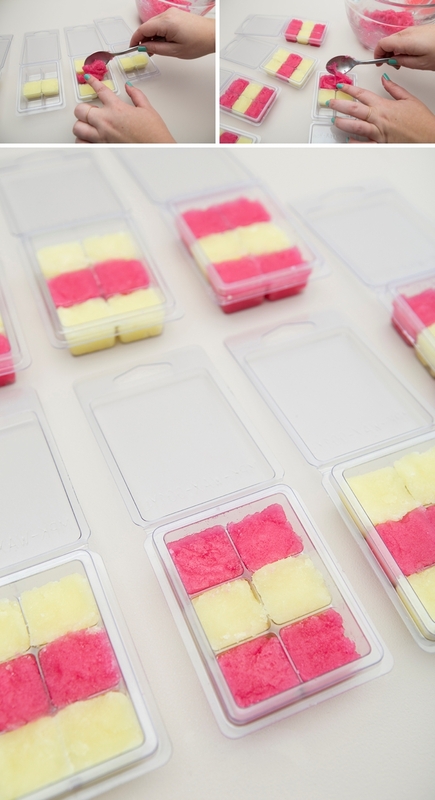 The best thing about using these small cube molds is that it doubles as packaging! 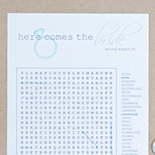 Here I added each square, by color, by hand. 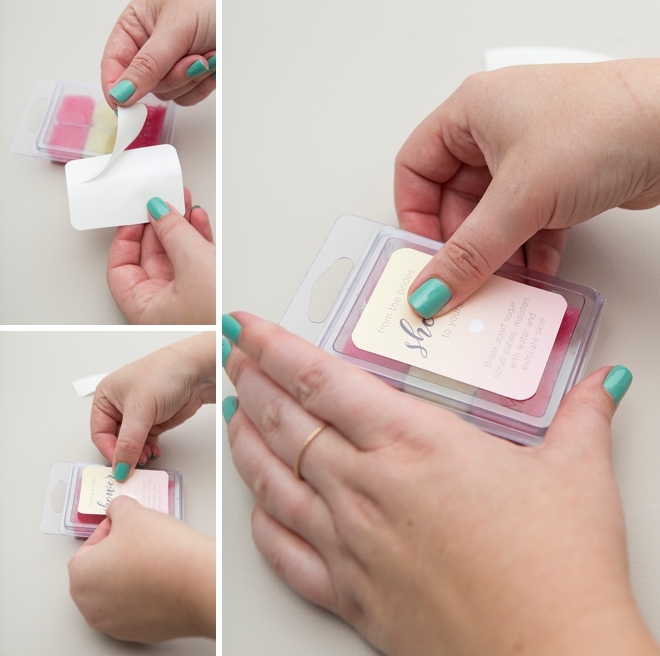 You can easily fill the entire tray in one pour with only one color like I did with the aqua scrub – it’s your choice. 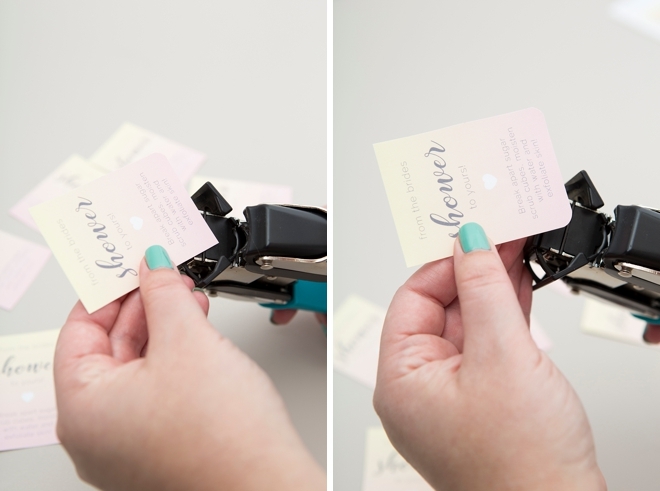 At the end of the post you can download my free labels for this project in three different colors. 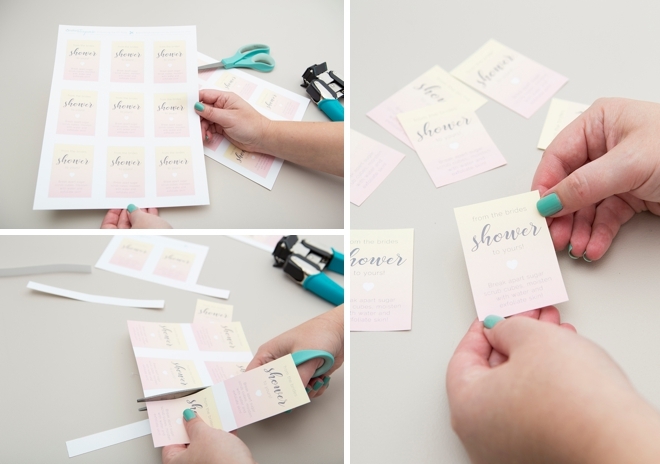 Print onto 8.5″ x 11″ white sticker paper and then trim each one out. 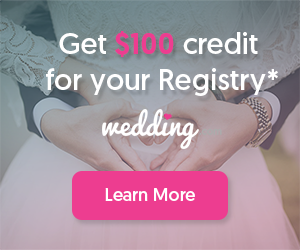 Rounding the corners is optional but I love the look! 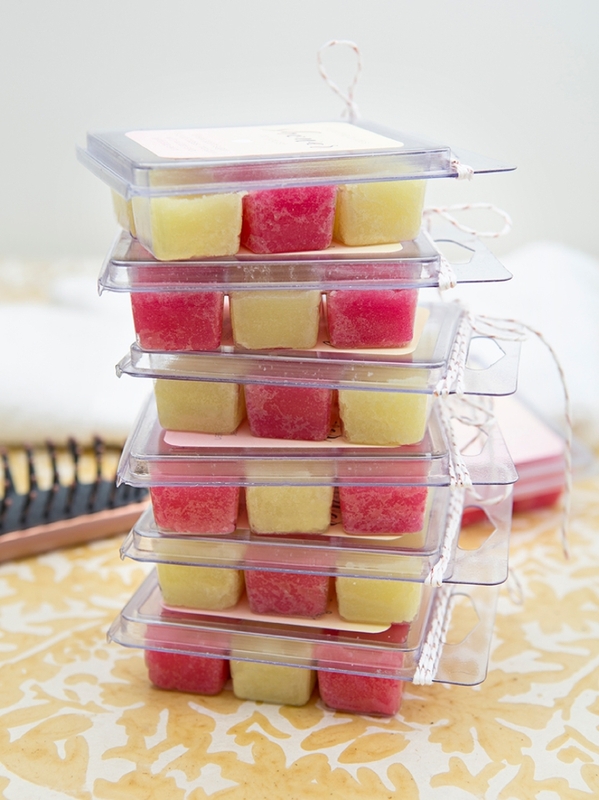 If you choose to do a single pour, your scrub cubes will pop out all as one and then you’ll break each one apart. 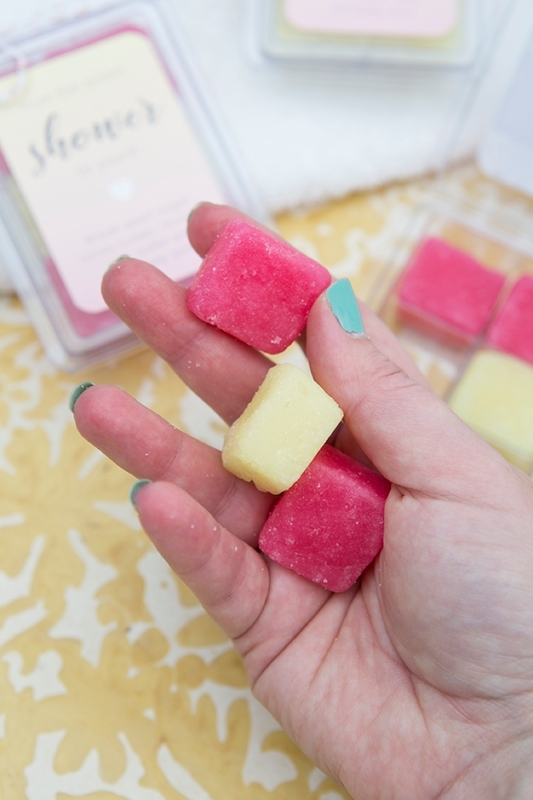 Two scrub cubes will be enough for your entire body, meaning there are three applications in one box!